These are photos from a Security Housing Unit (SHU) cell in Pelican Bay State Prison. The person who lives here has been in SHU for more than 25 years, since August 1986, and in the Pelican Bay SHU nearly 22 years, since 1990. Read his description below each photograph. Amnesty International welcomes proposals by the California prison authorities to provide a route out of isolation for validated gang members through a step-down process. However, Amnesty International remains deeply concerned by conditions in the state’s Security Housing Unit (SHU) units, which fall short of international standards for humane treatment. Virginia from CA Hunger Strike Solidarity on Vimeo. Rates of gang activity, yard violence, illegal drug sales and assaults on staff are increasing in California, while decreasing in other states. Maryland has recently closed its SHU. 2. SHUs add violence to the prison system. The psychologically brutal and degrading conditions of long term SHU confinement encourages violence and harassment by guards and enrages inmates. 3. SHUs cause short, medium, and long term psychological breakdown and social deterioration. SHU inmates have no physical contact with anyone for years on end and rarely are able to talk to anyone else in the prison. 4. SHUs do not serve public safety. Inmates are often released directly from the SHU to the general public without skills that would help them survive. They are thus often less well equipped than nonSHU inmates to function in society. Staff working in SHU units have higher rates of drug use, family breakdown, and spouse/child abuse. Sat & Sun (10/1 & 10/2) Show Support for Prisoner Hunger Strike Outside Pelican Bay! California prisoners are on hunger strike again! The hunger strike that started on July 1 of this year in support of 5 demands, has been resumed by thousands of prisoners at Pelican Bay, Calipatria, CCI Tehachapi, Centinela, Corcoran, Chuckawalla Valley State Prison, Ironwood State Prison, Salinas Valley State Prison. The prisoners say that the California Department of Corrections has retaliated against prisoners for participating in the strike and made only nominal policy changes in response to the strike. Prisoners say it is necessary to continue to put pressure on the CDCR to meaningfully change long-term solitary confinement policies and practices. 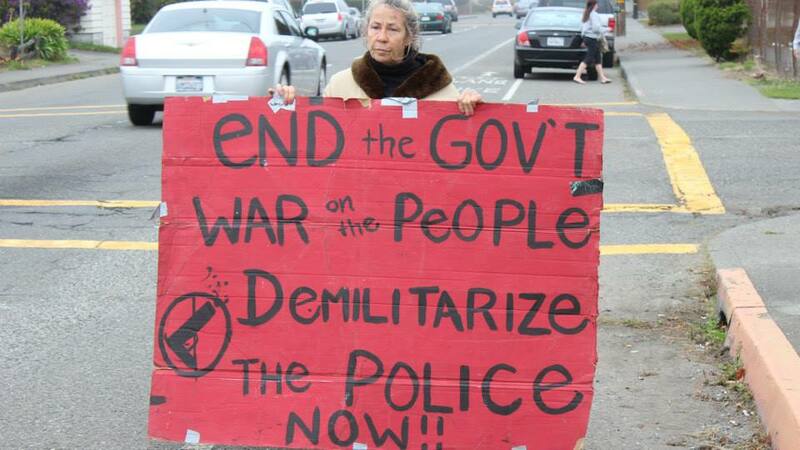 Up to date information can be found at http://prisonerhungerstrikesolidarity.wordpress.com/. Support the Prisoner Hunger Strike! Support the Five Demands! In SOLIDARITY, a group of us will be leaving Eureka on Tuesday night (10/4) to participate in the Oct.5th demo. We'll stay the night in Oakland and rideshare with Bay Area folks to Sacramento on Wednesday morning! We will return to Eureka on Wednesday night (10/5). If you want to go, please contact Redwood Curtain CopWatch at 707.633.4493 or email copwatchrwc@gmail.com. Determined Mass Support Outside the Prison Walls is Urgently Needed. 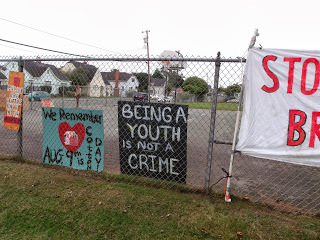 Prisoners in the Security Housing Unit (SHU) at Pelican Bay State Prison (PBSP) are resuming their heroic hunger strike on Monday, September 26th. They are demanding to be treated as human beings; to end barbaric conditions of imprisonment, and to end long term solitary confinement – internationally recognized as TORTURE. The California Department of Corrections and Rehabilitation (CDCR) is not only refusing to meet the prisoner's demands, it is retaliating against hunger strikers and mounting a public relations campaign to defend the conditions of torture in the SHU. "The prisoners are progressing rapidly to the organ damaging consequences of dehydration. They are not drinking water and have decompensated rapidly. A few have tried to sip water but are so sick that they are vomiting it back up. Some are in renal failure and have been unable to make urine for 3 days. Some are having measured blood sugars in the 30 range, which can be fatal if not treated." Since the hunger strike has spread to at least a third of CA's prisons, family members have informed Prisoner Hunger Strike Solidarity of their loved one's conditions. They have reported hunger strikers have lost 20-30 pounds, are incredibly pale, and that a number of prisoners fainted and/or went into diabetic shock during family visits this past weekend. Some prisoners have been taken to the prison hospital in at least Corcoran and Pelican Bay. TODAY: Take Action! Call NOW! Stand With the Prisoners. Help Them In Winning Their Demands! Support Prisoner Hunger Strike and Five Core Human Rights Demands!